Asus's ZenScreen MB16AC portable USB-powered monitors go on sale today, but they seem to be in short supply. 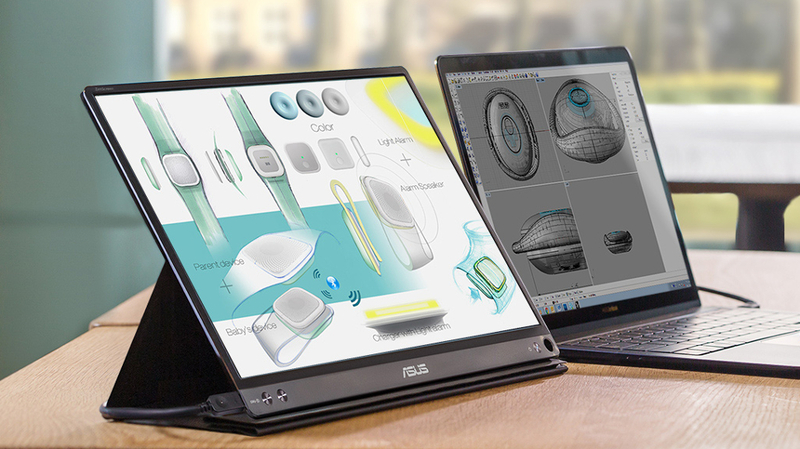 Ever wished you could extend your workspace on the go, just like a desktop setup? It's actually been possible for a while using portable monitors that run on USB power. Asus announced their ZenScreen MB16AC 15.6-inch portable USB-powered monitor in May, but today is the day it is available for sale online in the US. Unfortunately, it is already out of stock in many locations (and is overpriced in others), but you can still pre-order to be in line for the restock if this product is up your alley. The ZenScreen is a slim, portable monitor that weighs 1.7 lbs, measures only 8mm thick, and spans 15.6 inches with a 16:9 ratio. It is an IPS display with FHD (1080p) resolution and middling (220 nits) brightness, but that is understandable when you consider that this is a USB-powered (Type-C or Type-C compatible) monitor with no additional cables, and so only so much power for the backlight can be drawn from the host PC. The ZenScreen also comes with DisplayWidget software, which allows the screen to detect orientations and change between landscape and portrait modes. With its slim profile, folding smart case, and single-cable operation, the MB16AC could be useful to highly mobile professionals looking for a convenient way to share information during presentations and impromptu meetings or just expand their mobile workspace. The ZenScreen MB16AC has an MSRP of US$250 at many locations where it's been sold out, but some less scrupulous sellers who still have stock are selling it at a high mark-up. If you can't be persuaded to just wait until the restock in July, expect to pay up to US$100 more.